5 Litres does approx 170 washes, it's super concentrated and you only need a capful in your rinse drawer. 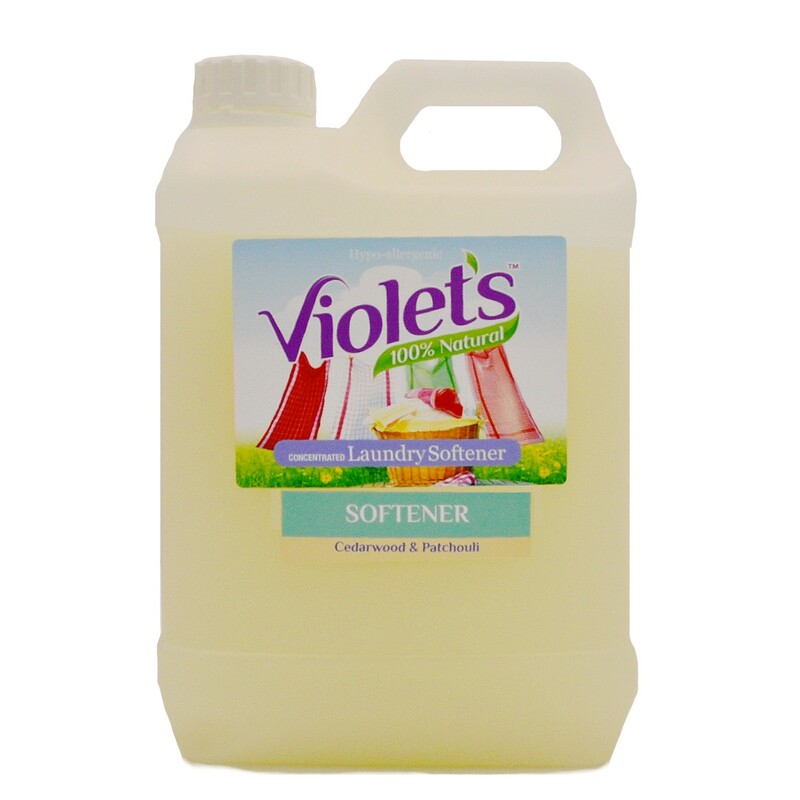 This super concentrated fabric softener is made from all natural ingredients and is beautifully scented with pure essential oils. Unlike conventional fabric softeners this leaves no residue on your clothing or nappies and is kind and gentle on your skin. A good choice for people with skin allergies, psoriasis or eczema. It actually works by softening the water so it's fantastic for hard water areas. Home scents natural cleaning and washing products are a real UK success story. Made in the UK, tested by Teesside university and now Vegan Society certified! Safe for septic tanks and kind the environment, recently recommended by Prima Baby as one of the best baby laundry detergents.